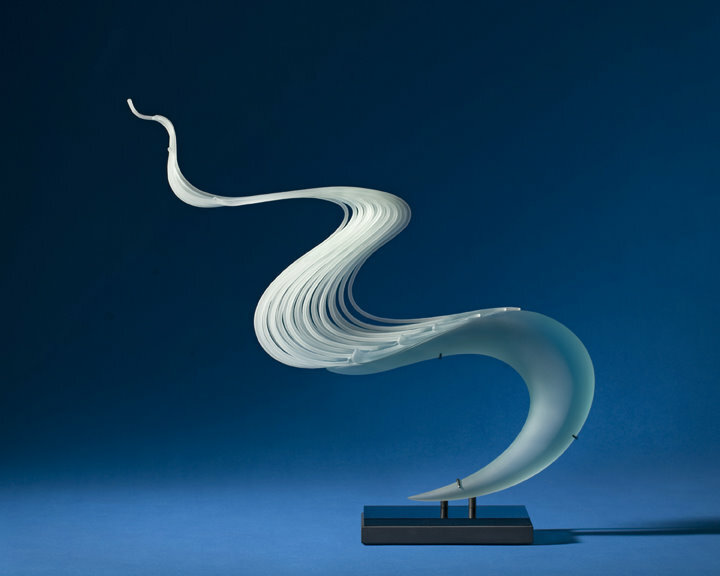 Glass artist K. William LeQuier uniquely conveys the raw emotion of a single moment in time with each of his sculptures. The power of his work is in the quality and expression of three-dimensional sketches carved from glass. The fluid movement of the glass and the complexity of layered intersecting lines are evocative of both the harmony and the random forces found in nature. Designed and Hosted by Cyberhenge Inc.